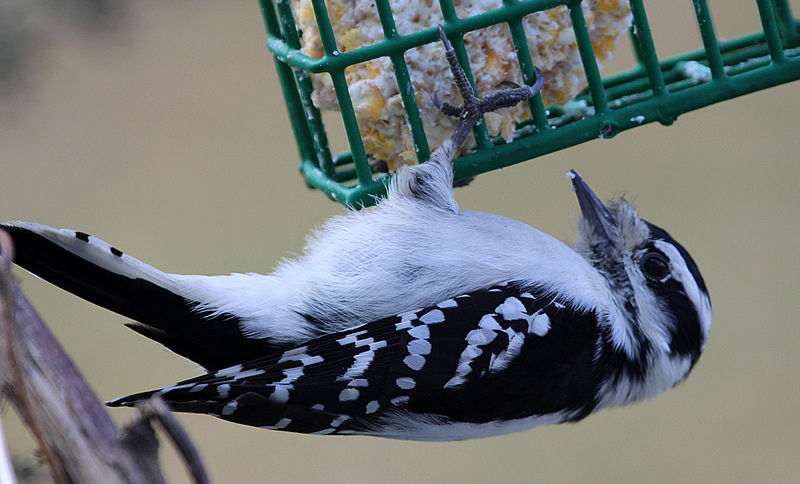 A male Downy Woodpecker clings to the suet feeder, Nov. 16, 2014. 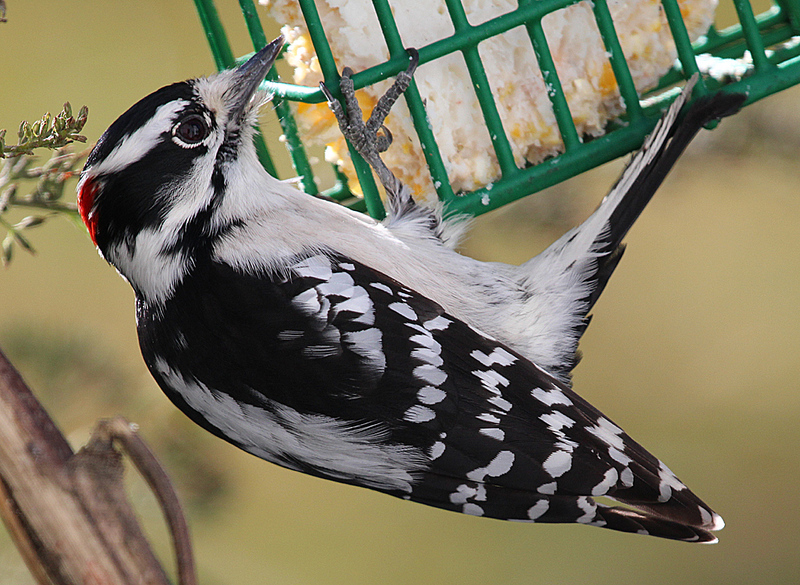 A female Downy Woodpecker clings to the suet feeder, Nov. 16, 2014. 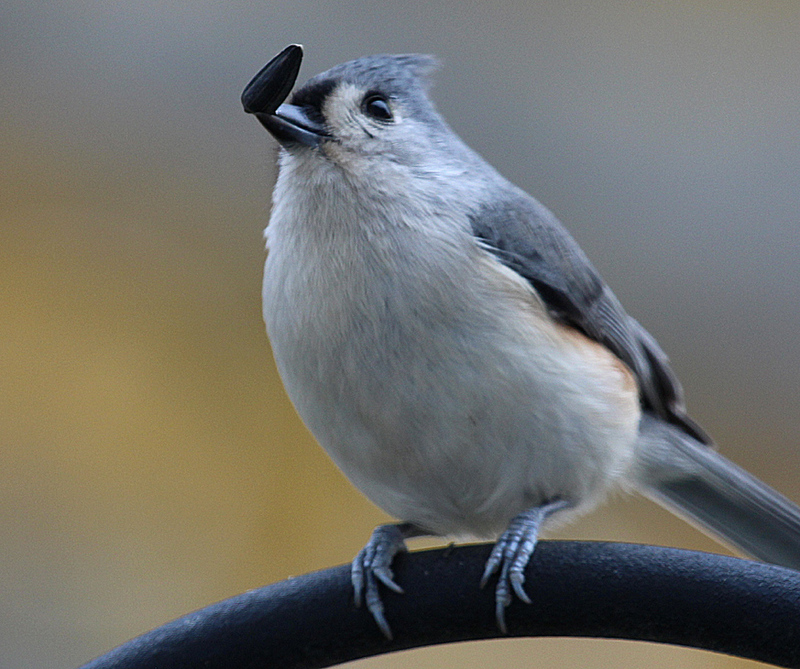 A Tufted Titmouse holds a seed in its mouth near a feeder, Nov. 16, 2014. 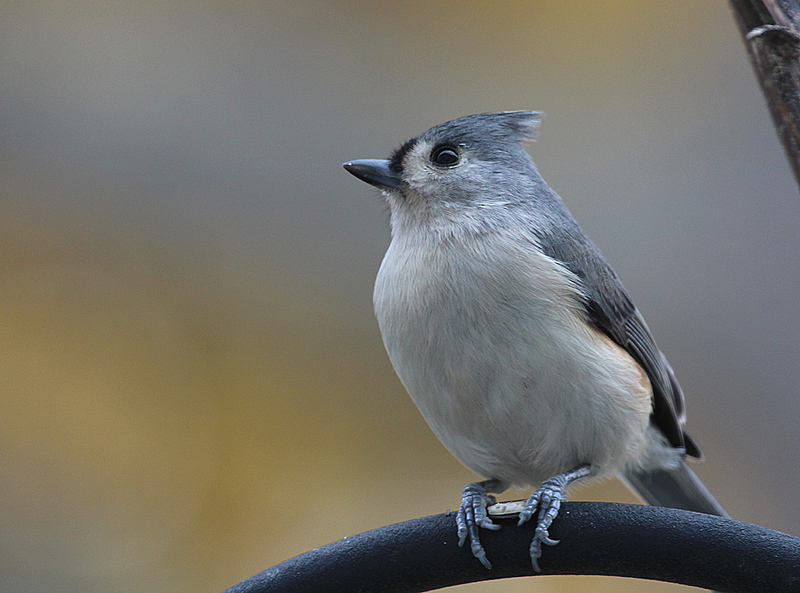 A Tufted Titmouse holds a sunflower seed near the feeder, Nov. 16, 2014. This entry was posted in backyard birding, Random photos and tagged backyard bird photos, Black-capped Chickadee, chris bosak nature photographer, Downy Woodpecker, downy woodpecker photos, photos of New England birds, Tufted Titmouse, Tufted Titmouse photos by Chris Bosak. Bookmark the permalink. Thanks Susan. Let me know when they show up. 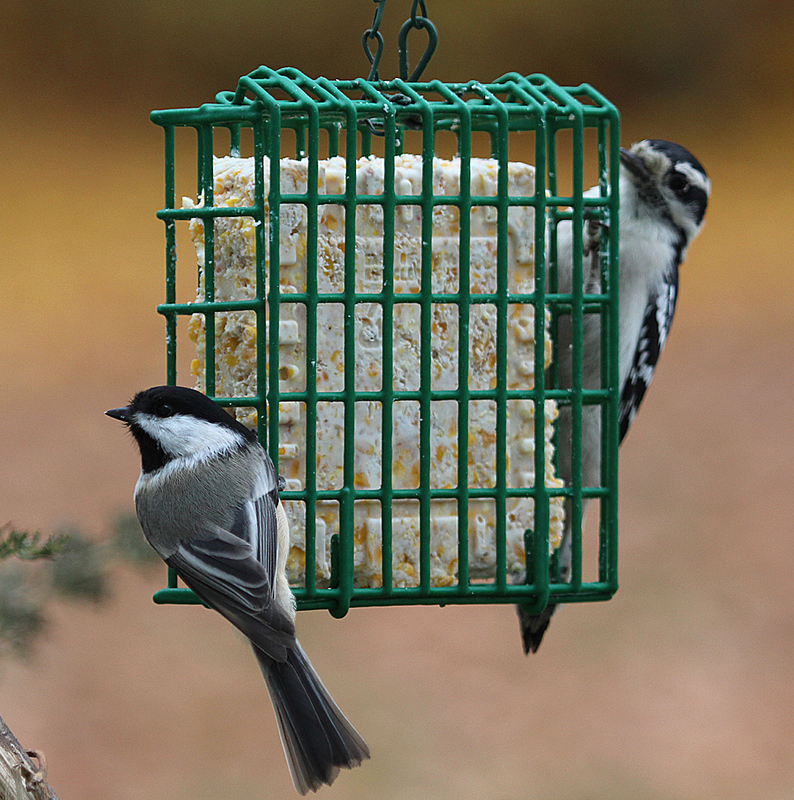 I do like the picture of the chickadee and the woodpecker at the feeder. They look rather like kissing cousins.